They are so easy to make, and your kitchen will smell so yummy! These would also be great in a Crock Pot with marinara sauce! I used Hot Sausage and Mild Sausage. Just remove the sausage from the casings and add the rest of the ingredients. I also used Cabot Extra Sharp Cheddar Cheese, adding so much flavor! I made these the size of golf balls, they do cook down a bit. Set them on a paper towel to drain. Serve warm with celery and carrots and your favorite dip. 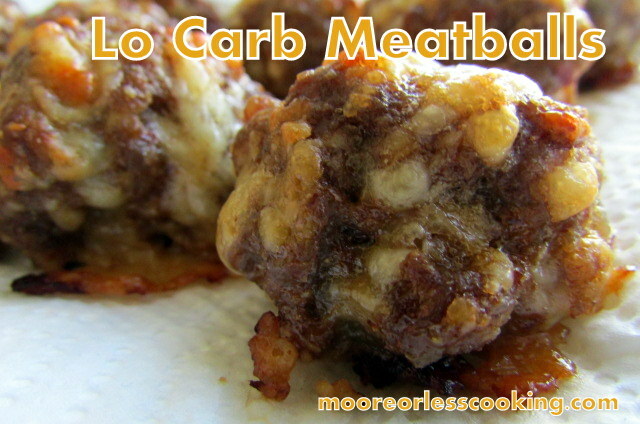 Easy Lo Carb Meatballs, full of amazing flavor! In a large bowl, mix all ingredients together with hands. 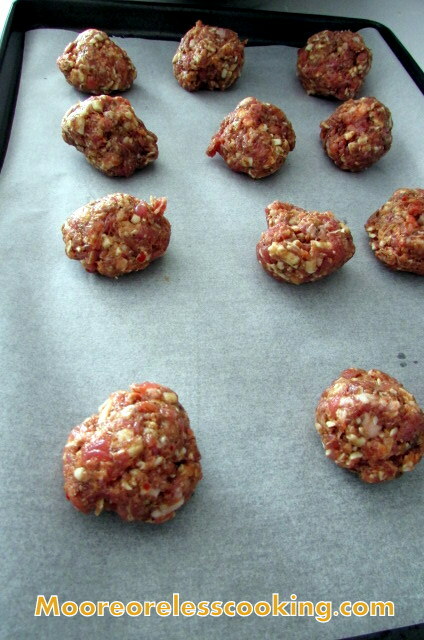 Roll into golf ball sized balls & place on a parchment lined baking sheet. Place on a paper towel for a few minutes to absorb excess grease. Love this recipe! I’ve pinned it under things to make soon….but I’ll have to use mild sausage all the way; I’m a wuss about spicy stuff!! Thanks, Nettie! 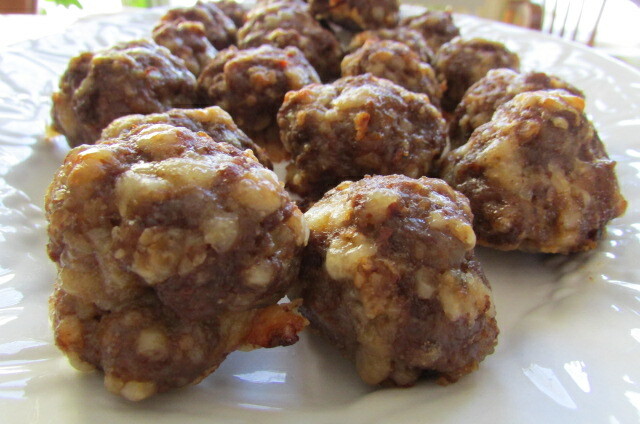 I would love to eat a bunch of these delicious meatballs! 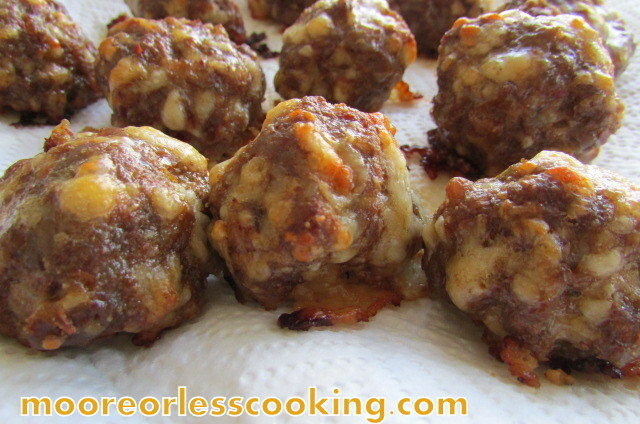 Love the flavors in these easy meatballs! I bet they were the hit for your game day spread!! They are amazing Rebecca!! Thank you!! I love making things secretly low carb and then seeing peoples faces when they find out! These look delicious! It is fun! Right Ashley? Thank you! G’day These look delish and wish I could try them now! Thx Nettie for sharing them at my Say Gday Party! Please feel free to link up more of your yummy recipes and spread the word the party is back in the Land Down Under! Pinned!